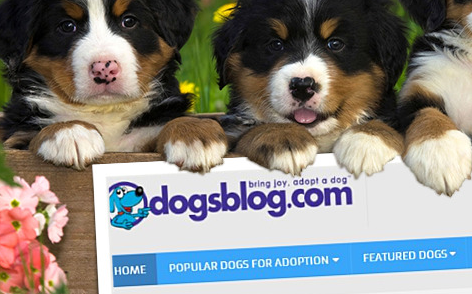 dogsblog.com is the UK’s largest independent dog adoption website. Launched in 2007. The site find homes for thousands of dogs in the shelter system and relieves the UK welfare sector of millions of pounds of financial burden. To date, dogsblog.com works with more than 550 shelters and has found homes for more than 40,000 dogs. Users can find the perfect dog through the site’s easy to use navigation system, enabling searches by breed, location and even personality type. The average visitor to dogsblog.com spends more than 4 minutes per browsing session.